Successfully Added 6-inch LCD Rear View TFT LCD Monitor to your Shopping Cart. 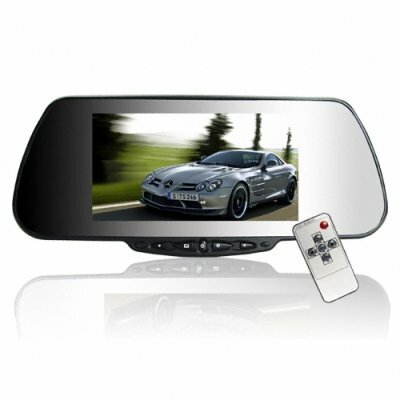 Rearview LCD Monitor with clip on-design for mounting onto rear view mirrors and then connecting to a rearview cameras so you can see wide-angle video while reversing your vehicle. This wholesale priced TFT LCD monitor easily clips on to most pre-existing rearview mirrors with its simple to use pinch-clip design and features automatic viewing of the rearview camera video input when reversing your car. Help make your car as safe as possible while backing up with the CVECL-650H rearview camera monitor. on 2009-10-08 13:29:19 Great product! Very happy with it. For the first time, I know exactly what's behind my people-mover. Clear picture and a clear reflection also.